Roberta Fuhr is owner of Experience Tea Studio in Issaquah. She is a Certified Tea Specialist (STI) and loves to help people of all ages to discover tea and has been teaching tea in her Studio and within the wider Puget Sound for over seven years. 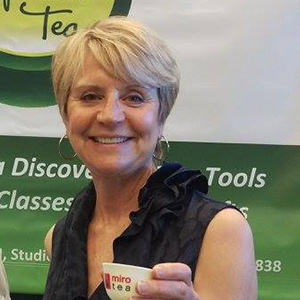 Roberta offers weekly Tea Discovery Classes on a range of tea related subjects, and as the sole owner, makes sure that every person who walks into Experience Tea learns something new about tea. She has augmented her professional tea studies with annual trips to tea-producing countries and brings back experience, pictures and stories to share.